Crunchyroll - Welcome to Crunchyroll! Welcome to Crunchyroll, the world’s largest home for anime and anime fans!! Thank you for finding this article even though you don’t know what Crunchyroll is!! We’re the home of anime and everything anime-related, a place to watch your favorite shows and interact with a community of people who love the same stuff that you do! 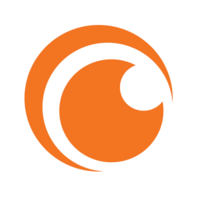 The Crunchyroll team connect you with the anime you love through our streaming service, our anime news coverage, and our community. We also love connecting with people who love anime on social media and at conventions, so please come say hi! Basically, we are a team of anime fans who wanted to create a digital home for people like us. Our most popular feature is a free to use streaming service with the world’s largest anime library! Hundreds of titles are available to watch at your fingertips in full HD on your web browser for free. We deliver anime from Japan translated into multiple languages to millions of users throughout the world! Our service is the best way to legally enjoy amazing series like Naruto, One Piece, and Dragon Ball Super. Did you know that you can pay anime creators just by watching anime? Every year, we put millions of dollars into the anime industry. From paying to license series from Japan to actively funding the production of new anime series, we provide a meaningful source of support to the people who make our favorite shows. When you watch anime on Crunchyroll and see an advertisement, you’re supporting the people that created the series–you are actively giving money back to the amazing creators behind your favorite shows. If you want to skip ads and watch new anime episodes a week earlier (right after they come out in Japan!!) our Premium service is an affordable way to enjoy anime in the best way possible! So, what are you waiting for? Join the biggest anime community in the world and start watching anime on Crunchyroll now!